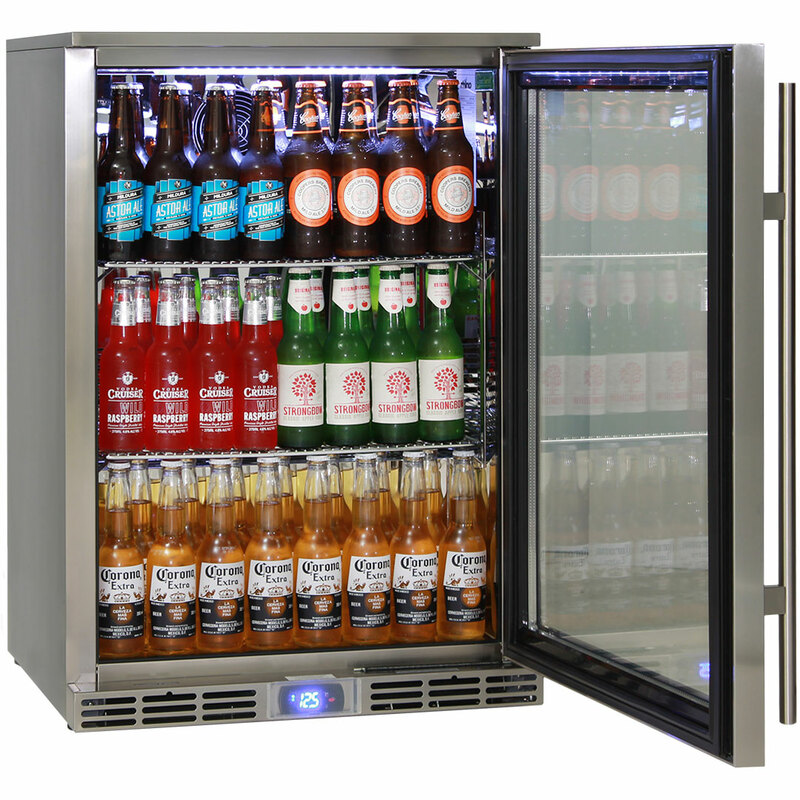 The Rhino GSP series have been proven in the tough Aussie climate since 2009, a reliable cold drinks fridge without the big electricity bills. 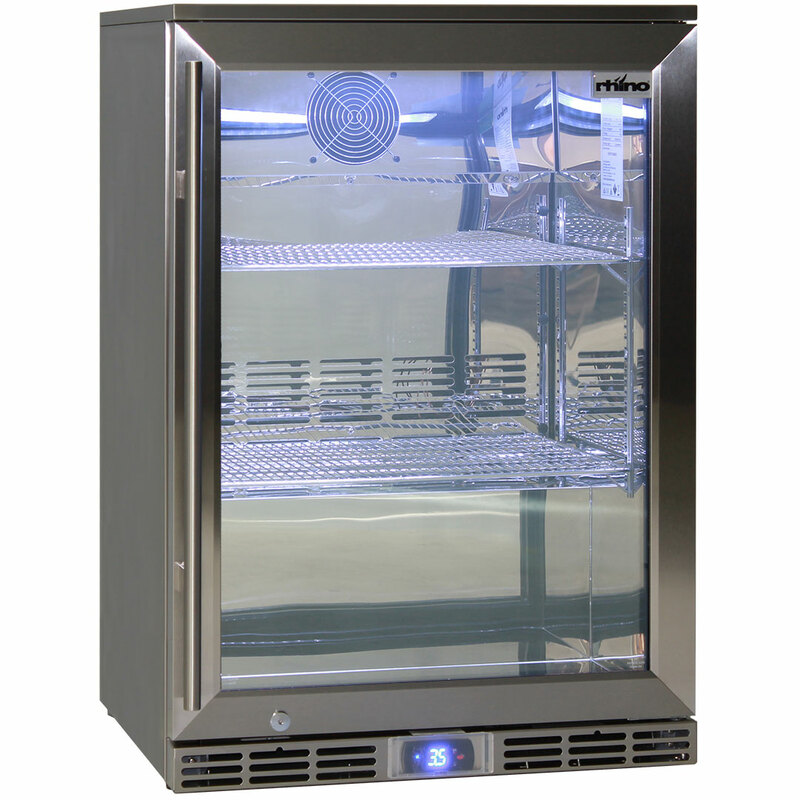 Rhino alfresco glass door ultra energy efficient outdoor refrigerator, amazing performance in 40ºC+ temperatures, save $$$ while not compromising cold drinks. Alfresco Outdoor Kitchen Bar Fridge “RHINO“ “GREEN SENSE PLUS” brand, Eco friendly, energy saving industrial type for heavy usage and reliability indoors and out. 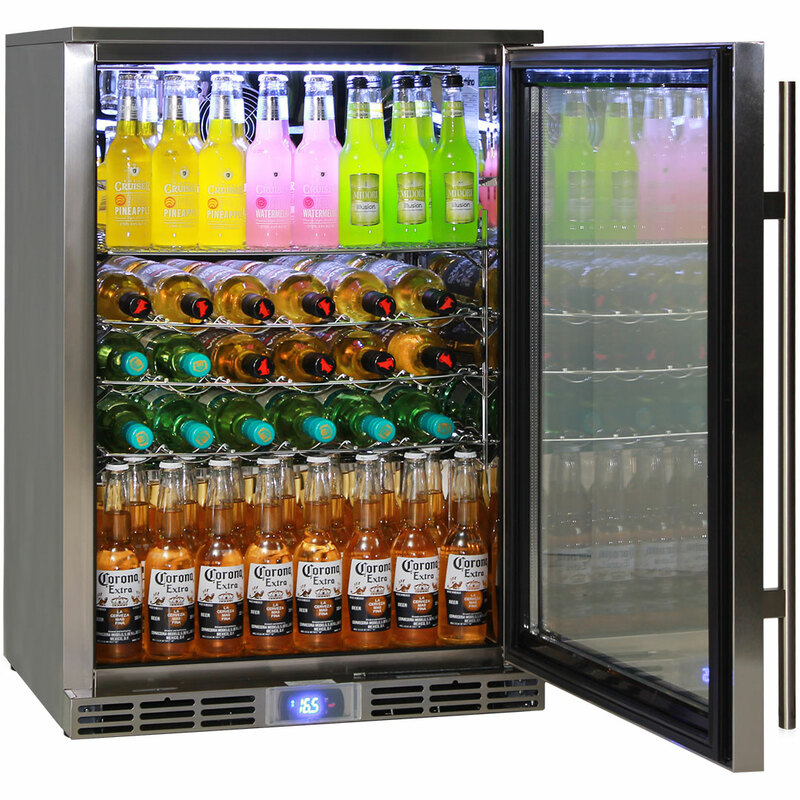 Units have taken 3 years to develop, encompassing the best brand name parts available in the world, the best engineers and a long standing manufacturer, to bring to Australia the most economical well performed glass door outdoor bar fridge range on the market. Industrial build for harsh applications, especially Alfresco areas and busy pubs and clubs, units are IP23 rated so are a proper outdoor rated bar fridge, no other fridges on our market have this test done, we have rear cover available making unit IP34 (energy slightly higher with this). Rhino GSP units use Greenpeace endorsed hydrocarbon technology, see more here http://cooltechnologies.org/content/background. Tested at TUV Rheinland laboratory’s these rated the most energy efficient units within their class in the world. Power Consumption: 1.25 KWh/24h, 0.92 KWh/24h in ECO mode, its only $100 a year. Some of our previous models draw up to 2.7KWh/24Hrs, these are 3 times cheaper to run. Db (Decibal rating 43-45), commercial grade fridge, you can hear these running. 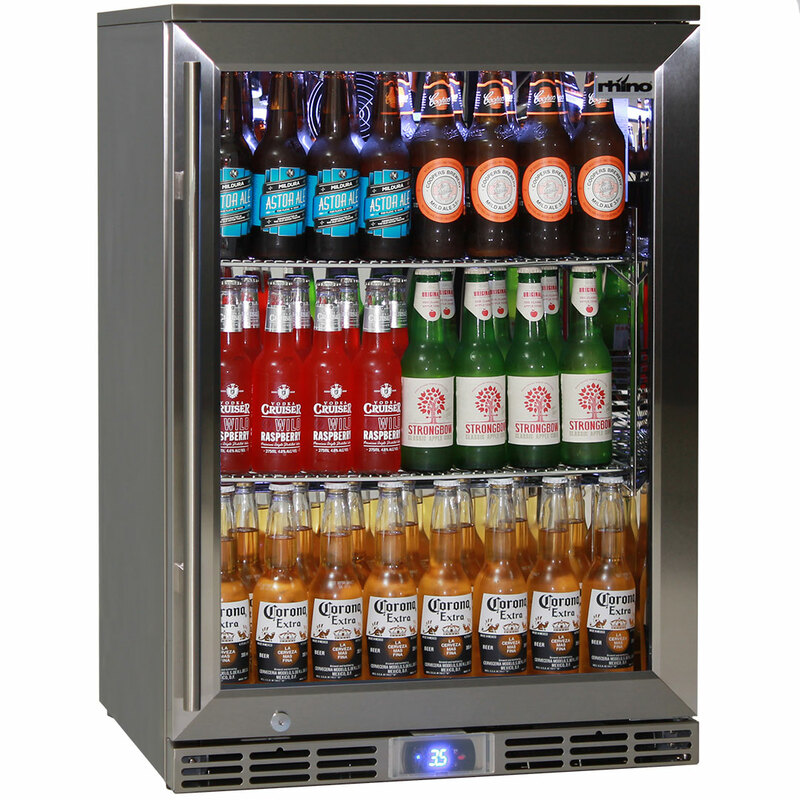 Industrial style for harsh applications, great pub or alfresco bar fridge. Quality Embraco compressor from Spain using R600A refrigerant (100% ozone friendly). Automatic “Carel” eco controller from Italy has two modes, one for extra cold drinks when needed to operate at a premium and ‘Eco’ mode for periods of non usage to save plenty of power. 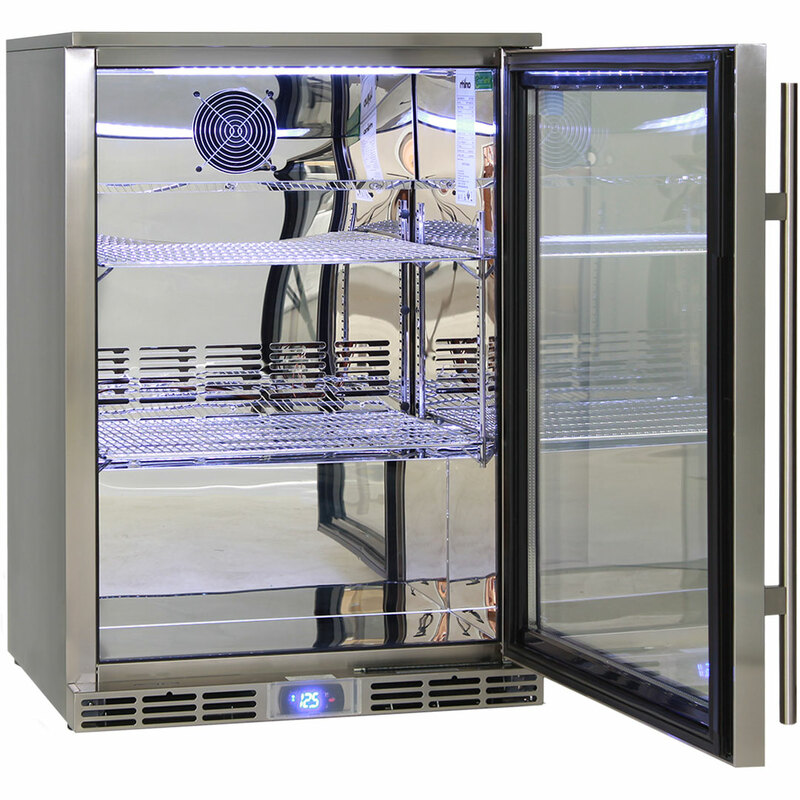 Patented air flow system allows unit to quickly get to temperature, saving run times, energy consumption and protecting all working parts to extend life of the outdoor bar fridge. Double LOW E glass panels can handle up to 77% humidity in 40ºC and 73% in 30ºC with no condensation (no water on your hard wood floors). Allow 5-10mm shadowline when building into cabinetry.